We are a family of three...Dad, Mom and our son. 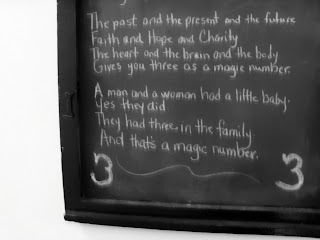 We have a family number, 3. We have a family code word, shhhhh, it's a secret. 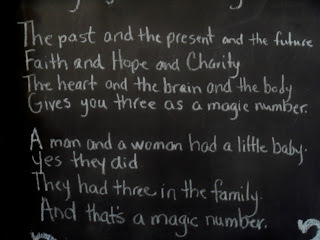 We have a family song. 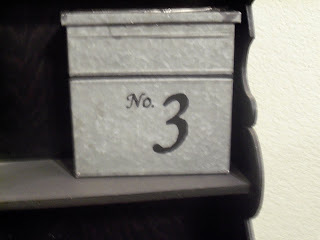 So, when it came to creating this blog, I had to use the number 3. 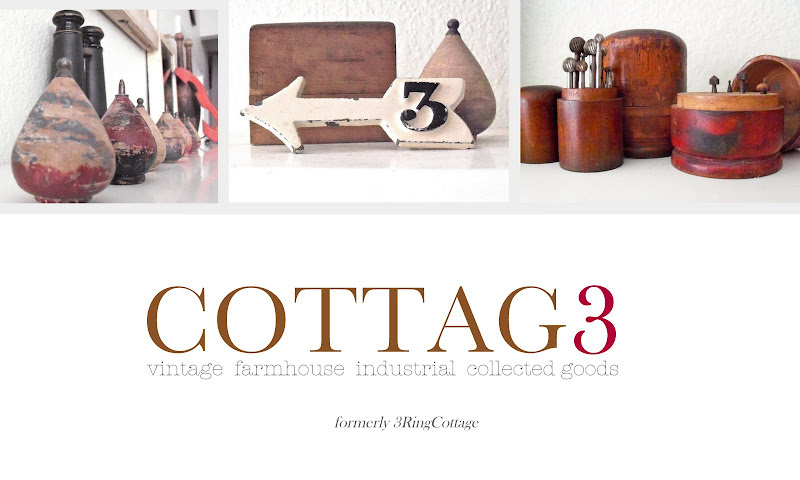 We also use the number 3 when decorating our home. Here's an old window frame that I turned into a chalkboard. 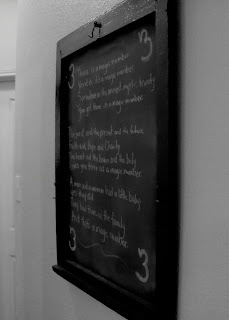 I've written the lyrics of our family song and it hangs as permanent artwork in a hallway (complete with hooks and latches). Even my wedding ring is designed in 3's. It wasn't intentional. It was made before we were married and before we knew how many children we would have. It has three rows of three diamonds. The two small rows on either side come from my mom's first ring from my dad. (I'll explain this at the end.) Then there is one big center diamond. That was part of the engagement ring. The two medium sized diamonds were added when we got married. I think it was forshadowing. I like to think the medium diamonds represent us as parents and the large center one represents our son. My son is a young singer/songwriter. He has been into music since pretty much day one. When he was younger (around 8), he recorded his own version of our family song, Three Is A Magic Number (from SchoolHouse Rock). It was slow and sweet. Now, he has re-recorded it at age 13 and while still slow and sweet, he's added some color to it. (an added bonus, click to hear my favorite song he's done recently). Note: So let me explain about "mom's first ring from my dad." My dad was a jeweler, a manufacturing jeweler. That means he made and repaired jewelry. When my parents first married, he gave her a nice wedding ring set. As he earned more money throughout the years, my mom upgraded her wedding ring. Funny, but true. My dad made my wedding ring too. It's the only one I'll ever have. 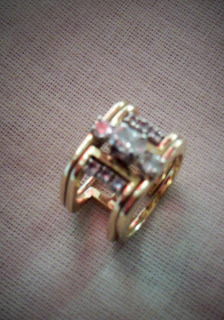 I do have my mom's rings as well since both of my parents have now passed away. 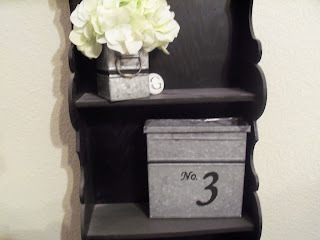 Such a wonderful way to bring meaning to your decorating! Thanks for sharing! The decorating is cute, the ring is precious, and the song is funky! Love! Cool music from your boy! 9 is my favorite number and I would love to share why...It stands for God, Jesus, the Holy Spirit, hubby, me, two sons (one of which is in heaven) and two daughters. I love to have 9's in my home. I love your no 3 box. I just signed up to follow you and look forward to keeping up with your projects. What a great story to add with your decorating post. It really is all about home and family at the end of the day. Thank you so much for sharing this at my first linky party. Hope to see you next Friday too!